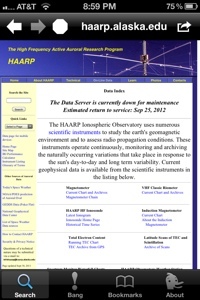 HAARP servers have been down and off line for more than a week. Storm damage, electrical problems, standard updates or a tinfoil conspiracy? HAARP on-line data is expected to be back September 25, 2012. We shall see.